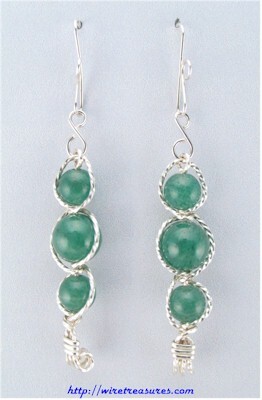 If you like beaded earrings, you'll love these Sterling Silver wrapped earrings. Each has one 6mm Aventurine bead and two 4mm Aventurine beads. You are visitor number 5,159 to this page.